Still wondering where to settle when you move to the USA? Today we’re revealing the five most popular spots with British expats. Access to healthcare, jobs and education are three important factors when figuring out whether to move to the USA. Location, location, location are three more. To help you narrow it down somewhat, today we’re looking at the most popular spots with British people who have already made the move, or purchased property. 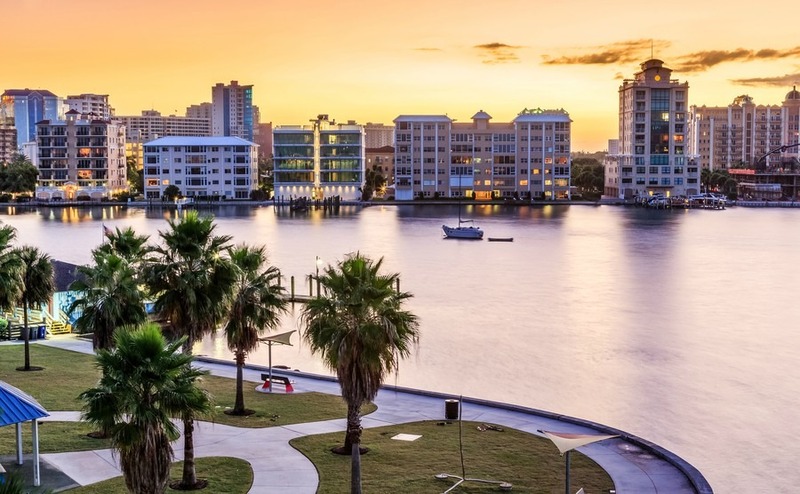 Given its enviable climate, affordable property, laidback lifestyle and being surrounded by warm tropical water – it’s little wonder that so many expats want to make The Sunshine State their home. Florida has enjoyed popularity with British retirees, and ‘snowbirds’ (those seeking solace from icy winters back home) for decades. Another enormous draw to Florida is the fact that the state does not collect any income taxes! Kissimmee is one spot with enduring popularity. Located just south of Orlando and on the shore of Lake Tohopekaliga, the city of Kissimmee (which has a population of 67,000), is one fantastic location to consider. The British tend to choose it for its proximity to DisneyWorld and other theme parks – including the work opportunities from such global businesses as Harry Potter World – but Kissimmee is a lovely city in its own right too, easy to reach from the UK all year. Plus, it’s one of the best places to rent out a property in the US. Why do Brits like Kissimmee? Kissimmee’s location is one of its major selling points. Not only is it located on the water, but it is close to all of Orlando’s amusement parks and amenities. This is a perfect spot for those wanting a holiday home where the family can create precious moments together in the Florida sunshine, and if it’s rental income you’re after the tourist footfall in the area means you shouldn’t struggle to find guests for your property, no matter the time of year. In Kissimmee you’ll be close to the Everglades National Park, you can enjoy world-class dining, the golf courses are some of the best in the world and if you enjoy nothing more than shopping til you drop, the designer outlets and shopping malls here will be right up your street. San Francisco isn’t just enormously popular with tourists; it’s also a favourite choice with those wanting to settle long term in the USA. With a population of around 810,000 it’s a manageable city in which to get to know people. Plus, the San Francisco Bay area boasts more Fortune 500 companies than any other region in the USA bar the tri-state New York City region. British expats like Sir Jonathan Ive, chief design officer for Apple, have made it big in “Silicon Valley” in the city’s suburbs. Get your free tickets to the next Your Overseas Home shows while they last. It’s your chance to meet property experts, estate agents, lawyers, currency specialists and more. Don’t miss out! Why do Brits like San Francisco? 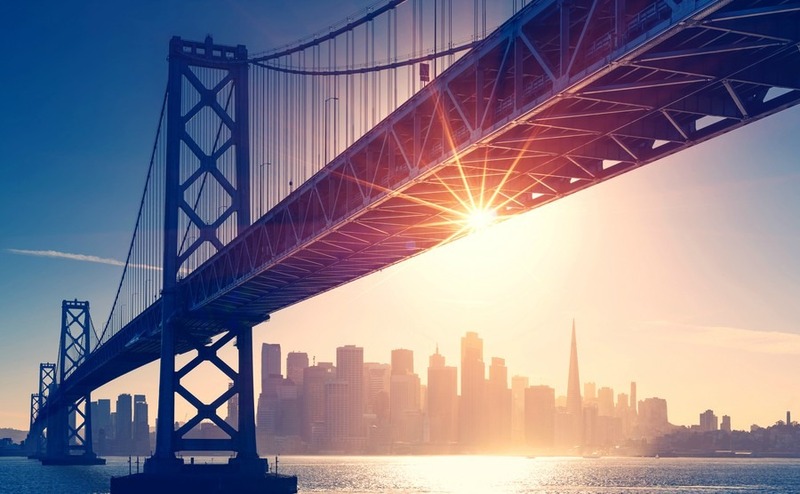 Besides from being a beautiful spot, San Francisco is a financially secure city, with many of those moving here doing so to take up positions in Silicon Valley. There is a lot of wealth in San Francisco. The average salary is $90,000 (£69,000), and unemployment just 7.8%. With 3,500 restaurants and 400 bars, this is a fabulous spot for those who are single and ready to mingle, or who just enjoy dining out and a nice glass of wine or a cocktail of an evening. San Francisco is a safe city with a population of intelligent, environmentally friendly, forward-thinking residents. Sarasota at sunrise: a new dawn for your life too? Sarasota is another popular choice with expats determined to settle in Florida. The city is located on Florida’s Gulf Coast (where the water is warmest! ), just south of Tampa. The city has a population of around 60,000, and the major industries found here are tourism, agriculture, aerospace and aviation, education and financial services. The city is known for its friendly and welcoming community and its wonderful arts scene. 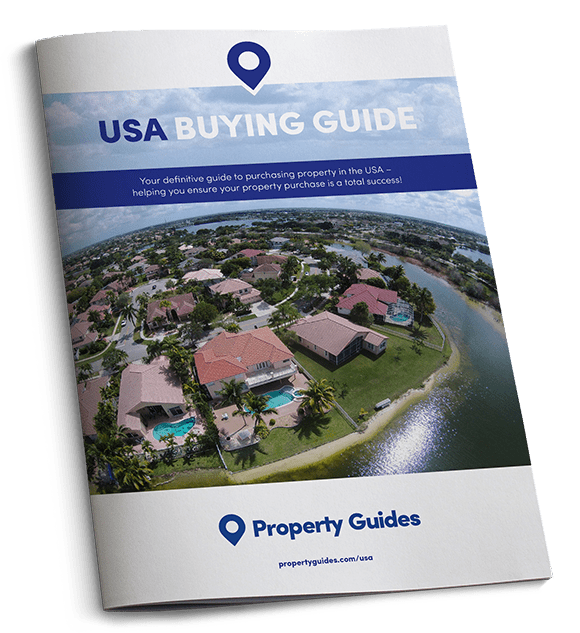 Find your perfect realtor for your search – simply fill in our form and our friendly USA Property Specialists from the Resource Centre will be in touch with recommendations who fit your requirements. Why do Brits like Sarasota? Sarasota is perfect for those wishing to spend their retirement, or holidays, relaxing at the beach. Sarasota is the closest city to some of Florida’s best beaches, including Lido Beach and Longboat Key. There are fantastic job opportunities to be found across a range of industries, and if you are unable to find something suitable in Sarasota, you can always set your sights on nearby Tampa, St Petersburg or Bradenton. The city’s schools are excellent, there are fantastic amenities, and the city’s location means it’s rarely affected by Hurricane Season. If you’re looking to enjoy a healthier way of life, Sarasota is known for being a sporty spot – watersports are popular, as are golf, tennis and fishing. We’ve all grown up watching the glitz and glam of Hollywood, so it’s little surprise that many Brits dream of making the City of Angels their new home in the USA. The city is the cultural, financial and commercial centre of Southern California, and its climate, beaches and attractions are a huge draw to Brits yearning for an exciting life in the sunshine. Why do Brits love LA? Los Angeles is the number one choice for anyone who wants to be at the centre of the world’s film and television industry. Other major industries include aerospace, tech and tourism. World-class attractions including Universal Studios, DisneyLand, and The Wizarding World of Harry Potter, (to name just a tiny sample of what’s in town), are a huge draw to families and to those looking to invest in a holiday rental. In LA the sun shines, you can hit the beach, you can shop until you drop, AND you might just run into one of your favourite movie stars when out for dinner! Don’t let worries about healthcare put you off making the move of a lifetime! Download your free Guide to Healthcare Abroad to find out more. The ‘City that Never Sleeps’ is a place where anything can happen and where there is untold amounts of choice when it comes to employment, education, leisure facilities and culture. New York has some of the country’s most prestigious museums, around 22,000 restaurants, 1,200 bars, and Broadway. Whether you want to make it in advertising, TV, theatre, music, finance or business, if you can make it in New York you can make it anywhere! New York continues to attract Brits, who are enticed by the bright lights of arguably the most exciting city in the world. Why Brits love New York? 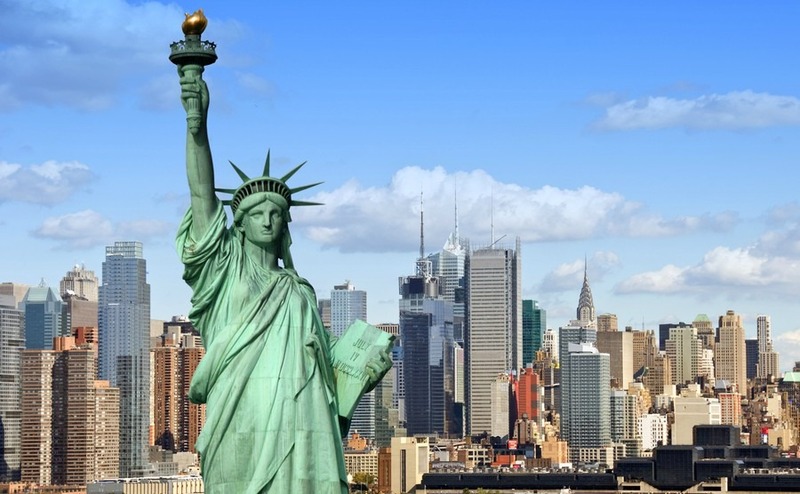 Although undeniably pricey, New York attracts Brits who are enticed by the bright lights of arguably the most exciting city in the world, as well as leading educational institutions, and some of the best job opportunities in the world. When compared to the West Coast, New York is a relatively short flight from the UK. This is a city where you can eat whatever you want (at whatever time of day), drink whatever you want to drink, and buy whatever you want to buy.